Sarod maestro Amjad Ali Khan with his sons, Amaan and Ayaan Ali Khan. Khan will perform along with sons Amaan Ali and Ayaan Ali. Indo-American Arts Council will host a concert by sarod maestro Amjad Ali Khan at the Peter J. Sharp Theatre in NewYork on November 3, 2018. 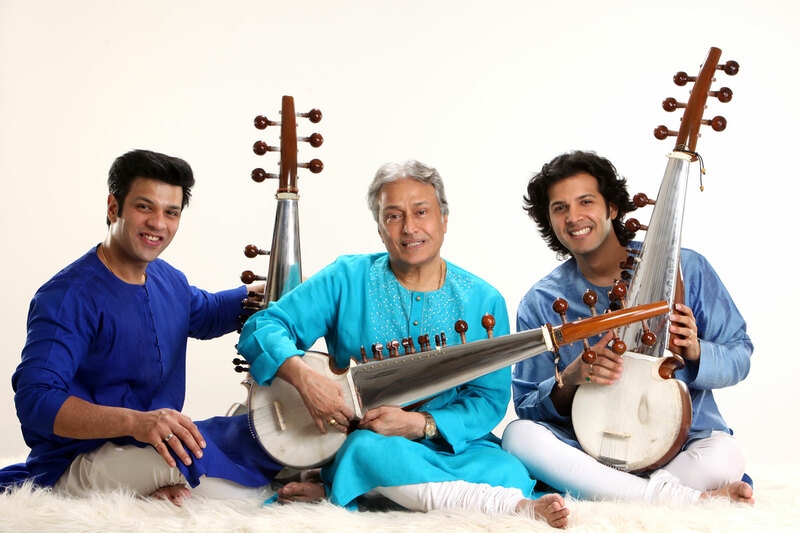 At the Music of Lights and Life Concert, Khan will be joined by his sons Amaan Ali Bangash and Ayaan Ali Bangash on the sarod, and Amit Kavthekar and Anubrata Chatterjee on the tabla. The concert will have three segments presenting both evening and night ragas, the Council said in a press release. Khan will start with his “Sarod Solo,” followed by a “Sarod Duet” by Amaan Ali Bangash and Ayaan Ali Bangash. The three musicians will perform together in the final segment. The concert will begin at 7:30 pm. The concert will be followed by a reception and dinner. Khan, a seventh generation sarod musician, is a Grammy-nominated musician. He has won a number of awards, including India’s Padma Vibhushan and Sangeeth Natak Academy award, Crystal Award at the World Economic Forum and UNICEF’s National Ambassadorship. The Council is a nonprofit arts organization that promotes, showcases and builds awareness of the arts and artists from the Indian subcontinent in the performing arts, visual arts, literary arts and folk arts.